We are very pleased to announce that the nerve shredding sequel Insidious Chapter 2 will be released on DVD and Blu-Ray on January 6th 2014 by Entertainment One. 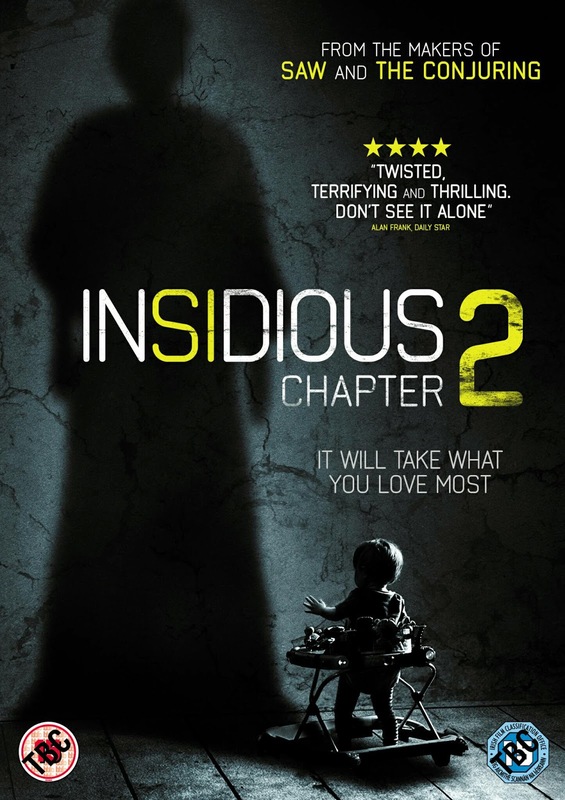 There will also be twin packs of Insidious & Insidious Chapter 2 available on DVD and Blu-Ray. For those who haven’t seen the film (shame on you), ‘Insidious Chapter 2’ is supernatural horror at its best. Renowned director James Wan and the Blumhouse family prove beyond a shadow of a doubt that scares should be a mixture of great characterisation and suspense. A well crafted and thrilling tale of the supernatural told through the Lambert family that will ensure the Insidious franchise goes from strength to strength in the future. The film is now available for pre-order and stay tuned for more information and related news closer to release. With Josh (Patrick Wilson) and Renai (Rose Byrne) still coming to terms with the death of parapsychologist Elise, the Lambert family move into his grandmother Lorraine’s home. However all is not well as Josh and Renai continue to experience the demonic forces that are set on turning their lives to chaos. With Josh’s increasingly bizarre behaviour, Renai is forced to seek help to protect her family and in uncovering the truth she soon learns the terrifying reality… Josh didn’t come back alone.